The Spiro State Bank began operations on February 8, 1913, when it acquired its original Certificate of Authority to operate, from the Office of State Bank Commissioner. The certificate hangs in the lobby at our main location in Spiro. An interesting point in Oklahoma History is recorded by the line drawn through “Guthrie, Oklahoma” and Oklahoma City being written in as the State Capitol on this certificate. The Spiro State Bank assumed certain assets and liabilities of the defunct Choctaw Commercial Bank, which was located in Spiro prior to February 8, 1913. There were three banks located in Spiro during the first 30 years of the 20th Century. The Farmers State Bank, with Lyman Moore as President and F.H. Tibbitts serving as Cashier, was located on the west side of Main Street in the building just south of what used to be Sullins Drug. The First National Bank was located at the southeast corner of Main Street and South 3rd Street. The lower floor of that building remains. John Redwine, Sr. served as President and his brother, R.L Redwine Sr., was Vice President. 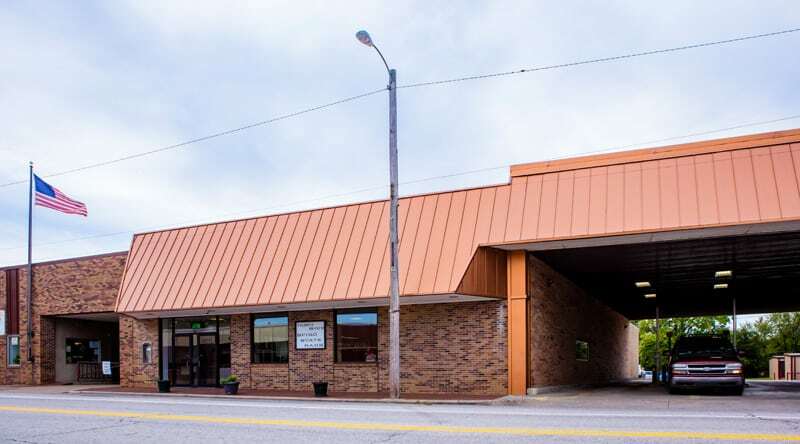 The Spiro State Bank was located on the east side of South Main Street in the building now owned and operated by the Spiro Graphic, a weekly newspaper. It was the first brick building constructed on Spiro’s Main Street. The First National Bank was merged with the Farmers State Bank during the early 30’s and then later liquidated by its shareholders. All depositors and shareholders received their funds in full. In 1950, Spiro State Bank had a change in ownership from the Dunklin family to the Echols family of Fort Smith, Arkansas. On October 24, 1953, the Spiro State Bank assumed the liabilities and part of the assets of the Exchange Bank in Bokoshe, Oklahoma. On August 1, 1966, the bank had its last change of family ownership. William F. Schmidt, Jr., was elected President and Chief Executive Officer and Cooper Redwine, who had been with the bank since 1958 was elected Cashier. The bank continued to operate from its banking building in the 200 block of south Main Street where it had been since opening in 1913. Then, in February of 1974, the bank moved to its present location on the west side of Spiro on Highway 271. The bank’s continued growth over the next 10 years made certain changes necessary. By the summer of 1984, the bank’s building had been extended to its present size of over 10,000 square feet. On September 23, 1988, Spiro State Bank purchased from the FDIC the deposits and certain assets of the former First State Bank of Talihina. 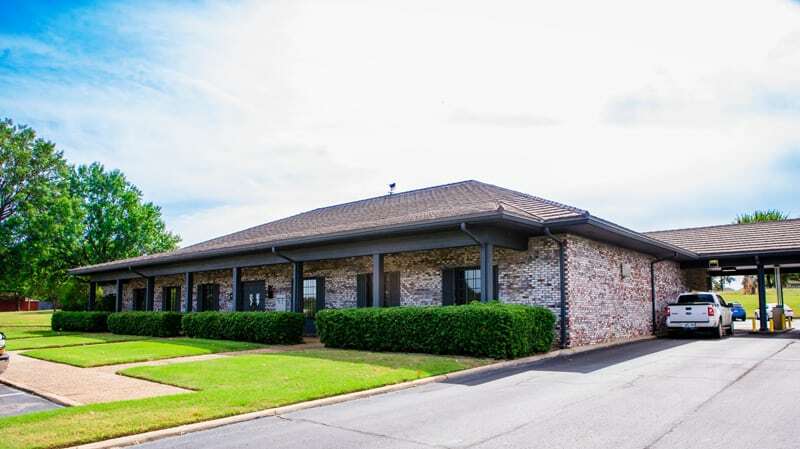 The Spiro State Bank opened its new location as the “Talihina Branch”. Several longtime employees of the former bank were retained to become officers and employees of the new branch. In 1997 Deborah Schmidt Barrett and her husband Ty Barrett joined the bank and became members of the board of directors. Debbie is a third generation banker following her grandfather Wm. F. Schmidt, Sr. and her father Wm. F. Schmidt, Jr. The Directors of the bank plan to continue with the policies and practices that have built this bank into one of the best in Oklahoma, both in service to its customers and the communities it serves. These policies and practices have further been responsible for its’ five star rating for many years that is reflected in its’ financial statement of condition.